Special offer! 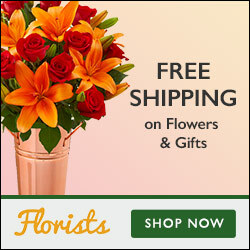 Save 15% on Graduation Flowers & Gifts at 1800flowers.com and be the reason the grad in your life beams with pride! Use promo code: GRADFFTN at checkout (Offer valid 5/25/15 to 6/14/15) Click the link to get the deal!